Figuratively, “due diligence” could be described as an umbrella term for the comprehensive analysis of a company before its acquisition. In particular, it concerns checking and evaluating companies to see whether the information provided at the time of the offer to purchase holds true or important information has been omitted. Who will want to buy the proverbial “pig in a poke”? A financial statement may appear acceptable at the first glance, but further parameters are important. For example, the market in which a company is present and the business model with which it works. In case of a due diligence it is about an overall picture in which all factors are incorporated, and that is far beyond the financial and economical valuations. We are experts in financial and tax due diligence. 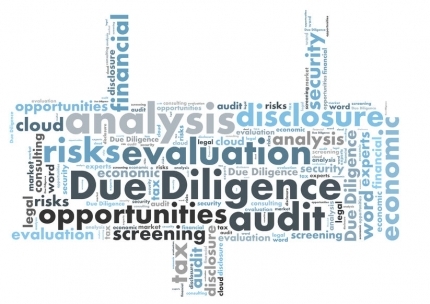 Financial due diligence – how is the company doing? The financial due diligence investigates the annual financial statements prepared according to commercial law, interim financial statements, business assessments, accounts and budgeting among other things. How strong are the finances of the company? How good is the accounting and the person, who has prepared it? This also involves a certified tax advisor. Which extraordinary impacts have influenced the financial results in the past? How plausible are the budget calculations when compared with the adjusted figures of the past? How plausible are the statements of the management on the fluctuations in revenues and expenses? What does the current development of the company look like? Do the last business assessment and the orders already placed match with the sales target and the profit target for the current year? Financial position of the company and the credibility of the statements about the future are examined carefully here. Tax due diligence – which tax burdens must be expected? Among other things, the tax due diligence determines the extent to which the company has met its tax-related obligations in the past and if applicable where the tax-related risks are imminent. Have tax returns been prepared correctly? What is yet not declared or incorrectly declared? Which tax payments from the time before the acquisition still lie ahead of a company in the future? Were the VAT-related regulations taken into consideration in outgoing invoices or in the course of business with foreign business partners? Are there wage tax related risks, e.g. due to incorrectly taxed private use of the company car? Are expenses, which must have been borne by the owners personally, included in the annual financial statements for tax purposes? Do the contracts concluded correspond to the tax regulations and how quickly can these be terminated? Is the transfer pricing correctly calculated and documented? Which additional payments are imminent for the next tax field audit? Have you become curious? Here we explain how we can assist you.